Welcome to the four hundred and sixteenth of my blog interviews with novelists, poets, short story authors, biographers, agents, publishers and more. Today’s is with poet and memoirist Maggie Harris. A list of interviewees (blogged and scheduled) can be found here. If you like what you read, please do go and investigate further. Morgen: Hello, Maggie. Please tell us something about yourself, where you’re based, and how you came to be a writer. Maggie: I’m both a poet and a prose writer, was born in the Caribbean and emigrated to the UK at the age of 17, in 1971. I lived in Thanet for more than 30 years before moving to Wales, but will be returning to Kent shortly. I started a diary at the age of ten which has been really useful in writing my memoir, KISKADEE GIRL. Morgen: I’d not been to the Thanet area before but met you on a course (run by yourself and Jane Wenham-Jones), it’s a beautiful part of the world so I don’t blame you for moving back (although Wales is lovely too). I’m off to Jane’s ‘Prime Time’ launch party tonight so maybe see you there? Back to poetry, do you write poetry to form or as it comes? Maggie: I have written poetry to form, but usually write as it comes, with editing done when I discover what the ‘voice’ of the poem is, who’s telling the story if it’s a narrative, or what perspective the poem is coming from. Morgen: Do you generally write rhyming or free verse? Maggie: I normally write free verse, but use quite a lot of rhyme when it’s needed. I’m a great lover of rhythm, and hip-hop. Maggie: I’ve had five collections of poetry published: Foreday Morning, Limbolands, From Berbice to Broadstairs, After a Visit to a Botanical Garden, Collected Poems. I’ve also written a memoir about growing up in the Caribbean called Kiskadee Girl, which is going digital on July 26th. I’ve also got a collection of short stories, Canterbury Tales on a Cockcrow Morning, being published in August by Cultured Llama, and launched during this year’s festival. Morgen: An exciting summer for you. 🙂 Have you had any rejections? If so, how do you deal with them? Maggie: I have had many rejections but worse than that have been ignored. Dealing with being ignored is worse than rejection, at least someone has taken the time to acknowledge you. I have a belief in my work, that’s what keeps me going. I also realise that there are thousands of good writers out there. Getting the public’s attention is very difficult. Morgen: Isn’t it. I soon realised once I put the word out that I’d started this blog (back in late March 2011) how many authors there were all trying to be heard (and I think I’ve only just scratched the surface, as the saying goes). I think far more authors than I could possibly interview in my lifetime… maybe I should do two a day. 🙂 Do you enter competitions? Are there any you could recommend? Maggie: I don’t normally enter competitions, although I have entered one recently. I can’t afford them. Morgen: Some can be really expensive. There’s one I learned off yesterday that charges £15. The top prize is £10,000 which would be lovely but I think it’s far better to charge a lot less (£3-4) and have a lower top prize. Do you go to poetry slams? If so, could you tell us how they work? Maggie: I have been to a poetry slam and have organised one myself in Broadstairs. Basically poets get up and perform and the audience votes for them by hand or head count. They then go into another round and the winner chosen. It’s not something I would have the nerve to do, but they’re very entertaining, and of course guided by the audience as to what they like. Morgen: I’ve read out some of my prose at open mic nights (which was scary to start with) but there was no voting – everyone who went up was met with a round of applause so no ‘rejection’ as such. Do you deal with publishers directly or do you have an editor / agent? Do you think they’re vital to an author’s success? Maggie: I have so far dealt with publishers directly. They have been mainly small presses. I wish I did have an agent, I have to do all my promotion myself, it’s a very difficult thing to do and of course you get ignored a lot of the time. Agents do not normally promote poets but some have started to do so, and agencies exist which promote poets. Now I am also a memoirist and fiction writer, hopefully I may be able to get an agent. I tend to give up too easily, I wrote to one three weeks ago and haven’t even had an acknowledgement so I haven’t bothered to try anyone else. I think you do need someone to help you negotiate the publishing world and get your work promoted. Morgen: I guess three weeks isn’t a long time. I approached about 15 agents (12 by email and three in person) and all but one replied (the three in person obviously had to). 🙂 The one who didn’t warned they might not so it wasn’t a surprise, although just a ‘thanks but no thanks’ is appreciated. You mentioned earlier that Kiskadee Girl is ‘going digital’ on July 26th, how involved were you in that process? Maggie: The editor approached me at the book launch, and she and Kingston University Press who published the paper book, have liaised together. Morgen: Do you think eBooks will change poetry? Maggie: I think any addition to the way poetry is read is a good one. I’m sure it will advance in that direction. However I still most people would like to curl up with a book. Morgen: Very few interviewees have said they’d stick with eBooks only. If they’re anything like me they have so many books dotted around the house that they won’t be giving up paper for sometime to come. What / who do you read? And is it via eBooks or is it paper all the way? Maggie: I’ve recently been reading the new Bloodaxe anthology, Out of Bounds, a collection of Black and Asian writers responding to the British landscape. I read The Girl with the Dragon Tattoo on Kindle. Morgen: That’s some going… I listened to it as a 7-hour audiobook. 🙂 I was emailed by one of Jackie Kay’s colleagues for the contact details of a poet I’d interviewed and they wanted including in Out of Bounds. I said I’d pass their email on and invited Jackie to an interviewee. As far as I know the poet was included (I can’t see her name on the list but she’s could be a ‘many other’ but I’m still waiting for my interview. 🙂 I’m hoping she’ll endorse a new gay literature festival I’m helping with (because it’s where I live, and I live and breathe writing) so I’ll persevere. 🙂 You said earlier how an agent would take the pressure off you doing so much of the marketing, what do you do to promote yourself? Maggie: I try and organise as many readings as I can when I have a new book out, I also run workshops around themes. To be honest, not many of my publishers have moved beyond the initial marketing nor have they done any launches or promotion beyond publication and putting the book on a website. I have been the one to organise interviews, reviews, readings and sending out promotional material. Morgen: Which takes time away from your writing (I think every writer knows how that feels). Do you have a favourite of your poems or topic to write about? Maggie: My favourite is always the last one I’ve written! But I’ve written about my South American childhood, about women as powerful creatures, about love, and my family, about cultural difference. I’m interested in history and botany, in travel and ancestry, and creativity itself. I guess two of my favourite poems are one called ‘Mapping’ which is about all of these things, and another called ‘I, Breadfruit’ which tells the story of a breadfruit which was on the ship The Bounty bound for Jamaica. The character is funny and cocky, ironic and plays around with a mixture of old English language and creole. Morgen: That sounds hilarious. 🙂 Presumably you choose the titles of your poems – do you get to keep them or are you ever overridden? Maggie: I choose all the titles. The only giving way I had to do was in the publication of my memoir, which was originally called ‘The Conch Shell’. Morgen: I do like Kiskadee Girl. 🙂 Do you show / read your poems to anyone before you submit? Maggie: Sometimes my husband suffers a reading, my women’s group are more suitable sounding boards. Maggie: I’m writing a novel. Morgen: Ooh, how exciting. 🙂 Do you manage to write every day? Do you ever suffer from writer’s block? Maggie: No I don’t write every day, although I’m finding that writing a novel needs a more consistent method of writing than I’m used to. No, I don’t suffer from writer’s block, the more you open yourself to creativity, the more it flows in. The hard part is getting it out there! Morgen: It is indeed. I interviewed novelist Karen A Wyle yesterday who’s done NaNoWriMo and recommends it (I’ve done it four times and love it) so maybe that could be a motivation if you wanted to start another one in November. 🙂 Why do you think poetry is such a difficult market to break into? Maggie: Poetry is not a difficult market to get into, unless you mean will mainstream poetry publishers publish you if they don’t know anything about you. Poets need to be realistic and ask themselves what they want. Do they want to be read? If so do they read poetry, do they buy poetry? If not, they can’t expect there will be a willing and eager audience queuing up to buy their book! There are several fine poets who have already been published, and whose publishers will automatically consider them first. They need to know if a market exists for their work, because this is what the publishers will consider. However there are many other avenues of poetry promotion to be considered. Firstly, go out and read, locally or wherever else you can afford to travel. Find a poetry audience and slot in there. You will make friends, get feedback, and be supported. Poetry depends on audience as well as readership. You will also be supporting other poets who may be in a similar position. Secondly many publication markets are available to you through magazines, as well as online. Find those who are publishing the kind of work you’re writing. No point sending love sonnets to a sci-fi poetry publisher! You can enter poetry competitions, this will keep you writing. Read the winning poems, get a sense of what’s being regarded as ‘good’, although a lot of it is subjective! Practise writing in form, go to a workshop. Publish it online eg set up a Facebook Page. Go to festivals. It becomes a life! Maggie: Yes, my short story collection is a modern-day Canterbury Tales, will be launched during this year’s Canterbury Festival. I’ll be reading a tale a night in 7 different venues in Canterbury supported by 7 poets who have responded to 7 different tales. I like the idea of treating the stories to a live audience much like Chaucer’s pilgrims might have, and like the storyteller perspective. Morgen: What a wonderful event. 🙂 Apart from your memoir, have you written any non-fiction? Maggie: I have written short non-fiction articles about my work. Morgen: Do you do a lot of editing of your poems or do you find that as time goes on your writing is more fully-formed? Maggie: I do have to do some editing, sometimes the ideas for poems are a tease, you have to chase after them like a dream, trying to match the words to the images or unformed ideas. Sometimes it is not until the end of the process that you even know what it’s about! That’s why I advise poets to take time to play. I hate the way some teachers make children write telling them to use metaphors etc before they even start! Morgen: I love the image of you chasing after your poems. 🙂 I used to write a lot of 60-word stories and found the more I wrote the closer they came out to the word count. It’s obviously not a direct comparison but do you find your poems come out at similar lengths, or do they really vary. Maggie: My poems really vary. It depends how much they have / need to say. I have a sequence called ‘Sugar’ which started out as a 14-line list poem (Sugar … baby, Rosetti locks / Sugar ….daddy, Yves St Laurent frocks) Some time later I realised that each line had more of a story to tell, so I went on to write a sequence of 14 different poems! Maggie: I do research when I need to find out more about something. For instance when I was writing the Breadfruit poem I needed to know the facts about the Mutiny on the Bounty, and the historical connections. Likewise the poems in After a Visit to a Botanical Garden led me to research early botanic explorers, which was an amazing journey for me. I do a workshop called ‘Have Roots, will Travel’ based on these findings. Morgen: Aren’t we lucky that we have so much information to-hand on the internet. Do you have pieces of work that you think will never see light of day? Morgen: Oh dear. 🙂 Still, I guess it’s all practice. What’s your favourite / least favourite aspect of your writing life? Has anything surprised you? Maggie: My favourite is the sense of discovery when you embark on new writing, the challenge it sets you, and the things you learn along the way (eg botany). My least favourite is the hard work of getting my work promoted. What surprised me early on was the disappointment in not being able to walk into a shop and see my books there, and the lack of follow-up by my publishers. Morgen: Most organisations these days have few resources or budget. Out of all the authors I’ve spoken to only one has said their publisher does all their marketing but that author is very active on Twitter and Facebook so I’m sure that’s a huge chunk. If you could invite three people from any era to dinner, who would you choose and what would you cook (or hide the takeaway containers)? Maggie: Pablo Neruda, Leonard Cohen and Martha Gellhorn. Chilli and garlic prawns with lime and coriander, lamb shanks, fresh mango. Morgen: Yum, yes please. 🙂 Is there a word, phrase or quote you like? Morgen: However painful at the time, I totally agree. What do you do when you’re not writing? Maggie: Gardening, sewing, arts & crafts, talking on the telephone, writing on Facebook, listening to Jeremy Vine. Morgen: Lots of fiction fodder from him, I’m sure. Are you on any forums or networking sites? Maggie: Facebook, Linked in, Twitter. Good for spreading the world. Morgen: Aren’t they. I was running low on interviewees earlier in the year a put a shout-out on LinkedIn and I’m now booking into late February… and they keep coming. 🙂 What do you think the future holds for a writer? Maggie: You need a lot of self-determination and to be realistic. Balanced with your creative exploration, you need to have an idea of what you want to achieve and of the market. We can’t delude ourselves that we’ll write the next Harry Potter. I think obviously the digital explosion will gather force, how we can make money at it is anyone’s guess. There’s a lot of competition out there! Morgen: There certainly is but as they say, ‘A successful writer is one who didn’t give up.’ Where can we find out about you and your work? Morgen: How sweet. 🙂 Is there anything you’d like to ask me? Maggie: Yes, I really admire what you do! How do you find the time? I also wouldn’t mind some advice about finding an agent! Morgen: Thank you very much. Re. the agent, unfortunately I’ve only interviewed one to-date (Peter Cox, and would love to interview more) and I’ve tried a dozen myself and not succeeded so am no expert but I’d say the Writer’s & Artist’s Yearbook and Writer’s Handbook would be the places to start. There’s a list of 74 on http://www.pw.org/literary_agents but it’s an American site so I’m not sure how helpful that it. Some authors have been discovered online so I guess you just have to do everything you can… and get some writing done in between. Thank you, Maggie. Canterbury Tales on a Cockcrow Morning is a collection of short stories; 15 tales of modern-day Canterbury. From a homeless girl to a Chinese take-away owner who likes Country and Western, from a run-away schoolgirl who wants to be in a music video to a tale of two friends who meet up through the years: the stories link new migrants to Canterbury through their own voices, the voice of the storyteller and the city itself. Published by Cultured Llama in August 2012, the book will be launched and performed during the Canterbury Festival in October. 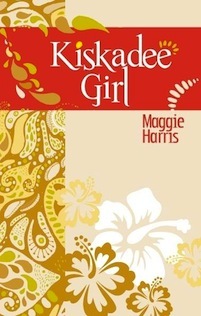 Maggie Harris has published five collections of poetry, and a memoir Kiskadee Girl. Her first collection, Limbolands won The Guyana Prize for Literature 2000. A short story collection, Canterbury Tales on a Cockcrow Morning will be published in August 2012, and launched during the Canterbury Festival. Her website is www.maggieharris.co.uk, she’s on Facebook (http://www.facebook.com/maggie.harris.984786) and LinkedIn (http://www.linkedin.com/pub/maggie-harris/27/540/217). That’s great news. Congratulations, Maggie.